Surely the day is long past in which we should seek to sweep this false and heretical doctrine under a rug of fear and uncertainty. 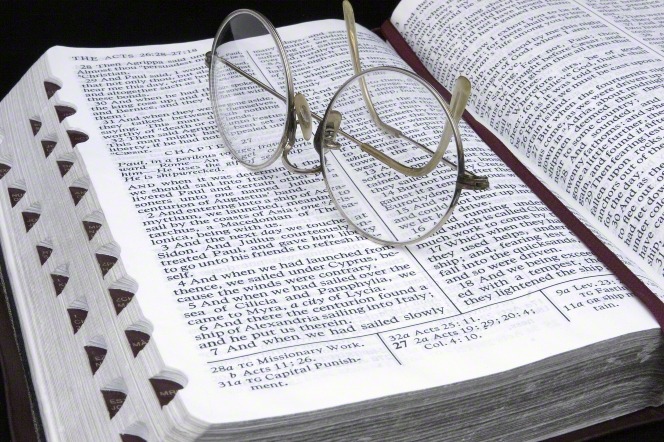 Those who have chosen to inform themselves in this field of gospel scholarship know that Latter-day Saint literature contains statements, expressions, views, opinions, and personal notions relative to it. To deny the existence of the source material or to attempt to explain away plain statements that have a clear and obvious meaning does little more than further the cause of those who choose to use material for their own purposes. To say the authors of these false views were misquoted is nonsense. They said what they said and their words are preserved for anyone to study. The issue is not whether the Adam-God doctrine was taught on some occasions—the fact is, it was—but the issue is whether the doctrine is true; whether it is the accepted doctrine of the Church; and whether even great and good men can have private opinions that do not accord with the mind and will of the Lord. As doctrines go the so-called Adam-God concept is one of the favorites of those cultists and excommunicated persons who engage in or lean toward the now banned and forbidden practice of plural marriage. It affords them the opportunity to claim that former Presidents of the Church both taught the Adam-God doctrine and endorsed the practice of plural marriage, whereas each of these concepts is now rejected by those who direct the destiny of the great latter day kingdom. These cultists teach that Adam is God and should be worshipped; that the present church leaders have fallen away from the faith of their forebears in this respect; and that it is thus easy to see why they have gone astray in forbidding the practice of plural marriage. This doctrine is also one of the delights of anti-Mormons in general because, as they argue and suppose, it pits one prophet against another, thus showing that the Church and kingdom is devoid of the inspiration of heaven. And it is much easier for them to generate animosity against us by condemning what they say we believe than to face up to the scriptural realities which we do in fact espouse. Allowing for the usual changing and differing views among those who comprise the groups who dispense the Adam-God philosophy, this doctrine is in general: That Adam is our father and our God, and the only God with whom we have to do; that he is God the Eternal Father; that he is the father of our spirits; that he is the father of the Lord Jesus Christ both as to his spirit body and his mortal body; that he is superior to and above Christ in the eternal scheme of things; and that he came to earth with Eve, one of his wives, to commence the peopling of the earth, which he as the Almighty had created. Some of the source material setting forth these matters has come down to us in a garbled and unedited form. The views expressed in some sermons were not recorded verbatim; shorthand as we know it was not in general use. Attempts were often made to record in longhand the gist and general thoughts involved. There was ample room for error, and the various accounts may not accurately reflect the views of their authors. Speaking extemporaneously, as the practice was in the early days of the dispensation, some of the speakers may not have expressed accurately or wisely some of the thoughts in their minds. Some of their views may be explained as in harmony with accepted gospel truths. Nearly all, however, are the private opinions of their authors and should never have been set forth for public consumption. And some of the views expressed are false and should be rejected. Indeed, they must be rejected if men are to build on the foundation of eternal truth and work out their salvation by worshipping in the true and proper manner. 1. There were in preexistence three separate and distinct persons—Elohim, Jehovah, and Michael. Elohim and Michael were not the same person. 2. Elohim is God the Eternal Father; as the Supreme Being he is God above all. Michael is, therefore, subject to him. 3. Jehovah was the Firstborn spirit son of Elohim. He advanced and progressed, became like unto Elohim, and was a member of the Godhead. The Godhead presides over all others. Michael is, therefore, subject to both Elohim and Jehovah. 4. Elohim is God the First; Jehovah is God the Second; the Holy Ghost is God the Third. These three comprise the Godhead. Michael is not one of them, but is in eternal subjection to them. 5. Jehovah and Michael are both spirit children of Elohim. They are both, therefore, along with all the spirit hosts of heaven, subject to Him whose offspring they are. 6. Jehovah became a God in preexistence; he was the Lord Omnipotent while yet a spirit being. Michael became the Archangel who thus had pre-eminence, not over the Gods, but over the angelic hosts. It is one thing to be a God, another to be an Archangel. Gods take precedence over angels of every rank and status. 7. Elohim is the God of Jehovah and of Michael. They both serve and worship him and are, therefore, subject to him. As Jehovah came to earth to do the will of his Father who sent him, so also was it with Michael during his mortal ministry. 8. Elohim was a resurrected personage, having a body of flesh and bones; Jehovah and Michael were spirit beings having bodies made of spirit element. Only resurrected beings can beget spirits; one spirit cannot beget another; and, therefore, Michael is not the father of spirits. 9. The ultimate creative power rested with Elohim. He sent Jehovah and Michael (and the noble and great ones associated with them) to create this earth and its aerial heavens. Michael, therefore, is not the Creator in the sense of having creative powers of his own. Rather, as with Enoch and Abraham and Moses and a host of others, all of whom participated in the creation, Michael acted by delegated authority. 10. There were in the Garden of Eden three separate and distinct persons—they were Elohim, Jehovah, and Michael. Elohim had a resurrected body of flesh and bones; he was and is a Man of Holiness, a Holy Man. Jehovah was then a spirit man, his birth into mortality being some four thousand years in the future. Michael had a body of flesh and bones which was not yet subject to death. Elohim and Jehovah gave direction to Michael, even as they had done in preexistence. Michael, therefore, was in no sense supreme, and he did not act independently as a God. 11. All men in all ages have been commanded to worship Elohim (the Father), in the name of Jehovah (the Son), by the power of the Holy Ghost. Michael is not involved in this system of worship, except that he advocates and teaches it and does himself worship in this way. All men have direct access to the Father; they do not pray to Jesus, to the so-called saints, to Michael, or to any other creatures in heaven or on earth. Elohim is the object and center of all saving worship; he is the only God whom men worship in this sense. Michael, therefore, though he is now exalted to Godhood of his own, is not the only God with whom we have to do. 12. Both Elohim and Jehovah are known as the God of our Fathers, though generally Jehovah is the one involved. Michael does not fit in as a God in dealing with men; he is, rather, a servant of the Almighty—speaking, doing, and ministering as Deity directs. 13. Jehovah is the Promised Messiah who came to ransom man from the spiritual and temporal death brought into the world by the fall of Adam (Michael). Michael is not Jehovah and he was not appointed to ransom men from the effects of his own fall. That was not the work of an Archangel but of a God. 14. Resurrected beings cannot die. Their bodies and spirits are inseparably connected to all eternity. They can never again see corruption. It is spirit, not blood, that flows in their veins. God the Father (falsely assumed by some to be Adam) could not, therefore, come to earth as the first man, bring death into the world, and thus introduce mortality through his fall. 15. It is almost beyond belief that anyone would think that the Eternal Elohim, under the name Adam, would come to earth, fall from an Edenic state, and then live in sorrow and sin for nine hundred and thirty years. Can a God fall? Can anyone seriously suppose or imagine that the Almighty would forsake his throne to be a mortal again and to work out his salvation anew? Can a saved being become unsaved so as to start out all over again and see if he is really worthy of the salvation he had already gained? These ideas are too absurd to be worthy of serious consideration. 16. Jehovah was the Only Begotten Son of Elohim, meaning the only one ever born with mortal flesh as the Son of the Eternal Father. He was thus the literal Son of God. That his father was not Michael is shown by two obvious facts: (1) Michael had lived and died and his spirit was then in the world of spirits awaiting the day of his resurrection; and (2) spirits cannot procreate; it is simply not in their power to have offspring. 17. Jehovah is the Atoning One. His atoning sacrifice brings to pass the immortality and eternal life of man. Now, if Adam is God the Father, can anyone seriously suppose that it would take the atonement of the Son to expiate the sins of the Father? Such a notion is almost too foolish to refute. 18. Similarly, Jehovah brought to pass the resurrection of all men. If Adam is God the Father, can anyone seriously suppose that Elohim, being Adam and having died (an absurdity in itself), could not be resurrected except by the power of his Son. Again we are refuting a notion that is so foolish it makes one wonder how far astray men can go. 19. Michael holds the keys of salvation under the counsel and direction of the Holy One who is the Lord Jehovah. He is, therefore, as we have so repetitiously recited, subject to the Holy One of Israel. It is against all reason to suppose that the Father (if he were Adam) would be subject to the Son. 20. Jehovah will come to Adam at Adam-ondi-Ahman to receive back again those keys by which Adam has been directing Jehovah’s work on earth. Michael will then report his stewardship and give account to his Lord of all his acts and ministry. Having received back the keys the Lord Jesus will be prepared to rule personally on the earth and not through agents and servants. It will be Jehovah, not Michael, who will reign over the earth during the millennium. All of this brings us back to the scriptural premise that it is life eternal to know the Everlasting Elohim, who is the Father, and to know Jehovah, who is the Son. No one can ever worship the Father in spirit and in truth, until he learns who the Father is, and that all worship of him must be done in the name of the Son. And no one can ever gain eternal life until he knows these holy beings in the sense of being like them—of thinking what they think, of saying what they say, and of doing what they do. It is self-evident, therefore, that there is no salvation in muddying the eternal springs of truth with heresy and falsehood about Adam our father, who is not our God, but is the great High Priest and Patriarch of the human race. Men are free to do so if they choose, but it will be at the peril of their salvation; and unless they repent they will never gain the rewards that might have been theirs. Michael led the armies of the Lord when there was war in heaven, but the issue then at stake was whether men should accept the plan of the Father, or seek salvation in some other way, as Lucifer contended. Michael stood next to Jehovah in the creation of this earth and all that on it is, but he was not of himself the almighty author and originator of all things. Michael became Adam our father, the first man, the first flesh upon the earth. He was commanded by Elohim and Jehovah to fall, and to introduce mortality, death, and a probationary estate. This he did. Adam was and is the presiding High Priest over all the earth. He is the great Patriarch of the human race and presides over all his children. As the patriarchal and spiritual head of all men, he directs the Lord’s affairs on earth where their salvation is concerned. He holds the keys of salvation and is the head of all gospel dispensations. Angels minister at his behest; revelations come when he so decrees; and the work of the Lord, in all ages, is under his direction. As the Ancient of Days he shall sit in glory, as ten thousand times ten thousand, and thousands of thousands, minister before him. He will then account to the son of Man for his stewardship and will give back the keys of governance over the earth to Him whose they are. Michael’s trump shall call the dead forth in the resurrections of the just and of the unjust; and he shall sit in judgment upon all those who have obeyed the law of Christ and made themselves worthy of exaltation. And finally, himself exalted as a God, Michael shall rule and reign forever over all those who have risen to a like state of Godhood with him. He shall preside to all eternity over the great chain of exalted beings from this earth. There will be none greater of all earth’s inhabitants than he; or, rather, he will be the greatest of all, and all others will be in subjection to him, as he is in subjection to the Gods in the Godhead. But with it all—great and glorious as his position is—he is not our God, and he with us does and will worship Elohim, and in the name of Jehovah, by the power of the Holy Ghost, through all the endless ages yet to be. We are left with but one question of any appreciable import. It is: why does the source material about the Adam-God notion exist; or, otherwise expressed, why did some of our early Brethren express the views about Adam which are attributed to them? There is a good and compelling answer which will find acceptance in the hearts of those who understand how revelation comes, the nature of the prophetic office, and what the Lord has in mind in the testing and proving of his people. To those who do not understand these things there is no answer—they would not receive it though it came from the angels who surround the Great White Throne—for they do not want to understand the issues or to set the matters at rest. Be it remembered that it is apostates, cultists, rebellious church members, and avowed anti-Mormons who keep these issues alive. As far as the faithful members of the Church are concerned, there is no Adam-God problem. They know, for instance, that in 1916 the constituted heads of the Church issued a formal proclamation entitled: “The Father and the Son: A Doctrinal Exposition by the First Presidency and the Twelve.” This official pronouncement has the effect of negating all heretical views about Adam’s supposed status as our God. “Since ‘the spirits of the prophets are subject to the prophets’ (1 Cor. 14:32), whatever is announced by the presiding brethren as counsel for the Church will be the voice of inspiration. But the truth or error of any uninspired utterance of an individual will have to be judged by the standard works and the spirit of discernment and inspiration that is in those who actually enjoy the gift of the Holy Ghost. “President Joseph Fielding Smith has said: ‘It makes no difference what is written or what anyone has said, if what has been said is in conflict with what the Lord has revealed, we can set it aside. My words, and the teachings of any other member of the Church, high or low, if they do not square with the revelations, we need not accept them. Let us have this matter clear. We have accepted the four standard works as the measuring yardsticks, or balances, by which we measure every man’s doctrine. “‘You cannot accept the books written by the authorities of the Church as standards of doctrine, only in so far as they accord with the revealed word in the standard works. We are thus faced with the fact that prophets, being mortal, and not all having the same spiritual stature, have personal opinions of their own which sometimes conflict with each other and are false. Ordinarily they wisely refrain from teaching their private views, but occasionally, because men are imperfect, even those of prophetic stature fall short of the divine standard, and expressions are made that do not accord with those in the Standard Works by which all truths—prophetic utterances included—must be judged. This is what happened with reference to the Adam-God notions. All the days of his life, for instance, President Brigham Young—who perhaps stands next to the Prophet Joseph Smith in spiritual stature in this whole dispensation, and who, calling out the name of Joseph as he departed this life, has gone on to a glorious exaltation—all the days of his life President Young taught what we have taught about the Godhead and about Adam and the doctrine of exaltation. It is the Church doctrine, and it was his doctrine. But on a few isolated occasions he expressed some private views which might well have been left unsaid. These views conflict with and are contrary to his life-long teachings. As it happens the private views are false. It is just that simple. Prophets occasionally express some uninspired conclusion because a prophet is not always a prophet, only when he is acting as such. Also by way of illustration: Paul sought to solve some exceedingly difficult social and doctrinal problems for the Corinthians. He identified some of his counsel as coming from the Lord; other parts were set forth as his opinion only; and with reference to yet other matters, he was not sure whether the Lord approved them or they were his private views only. Hence, he gave his best judgment, with the appended caution: “I think also that I have the Spirit of the Lord.” All of his personal views were identified as such and he said pointedly that they came not by way of commandment. (1 Cor. 7.) There were thus occasions where even Paul did not act in his prophetic capacity. Alma has left us some rather ambiguous statements about the resurrection, saying frankly that he did not know the answers to some matters but would give his opinion. (Alma 40.) If he had known what we know about the resurrection, he would certainly have expressed himself in a better way on the issues he was then presenting. Moses, who had no equal among all the prophets of Israel, yet, at the waters of Meribah, being for a moment devoid of the Spirit, took credit for what the Lord did, and was therefore denied the privilege of entering the promised land. (Num. 20:10-13.) Noah—who as Gabriel stands next in authority to Michael himself; who was chosen to carry the message of a Savior to Joseph and Mary; who “was a just man and perfect in his generations” (Gen. 6:9. )—yet on one occasion lay drunken and naked in his tent to the great embarrassment of his sons. (Gen. 6:19-25.) Peter, in the courts of Caiphas, denied with an oath that he so much as knew who Jesus was. Paul delivered an improper rebuke to the high priest. And so it goes. It is not the practice of the scriptures to preserve accounts of the faults and foibles of the Lord’s anointed, but there are enough allusions, here and there, to let us know that prophets are mortal and do err, except when they are moved upon by the power of the Spirit. Obviously those who are wise will follow the scriptures and the true teachings of Brigham Young, and of all the prophets, and not be led astray by a few misstatements of the moment. A little self-introspection will be profitable in this respect. Who is there among us whose every word has been proper and discreet and true? How often have all of us expressed views that would have been better left unsaid!